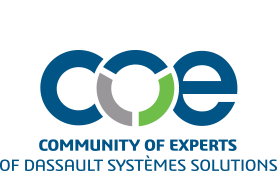 COE members now have year-round access to first-rate, technical education through the COE Ask the Expert webinars. Webinars are scheduled twice monthly. Ask the Expert Webinars help users of Dassault Systèmes solutions stay up-to-date on key product changes, issues and solutions, while providing education and training on the latest technology developments. COE Ask the Expert sessions are a paid members only benefit. If you are not currently a member, and are interested in unlimited Ask the Experts sessions for the rest of the year, please click here to join for $150. Members can also view past webinars by visiting the COE Ask the Expert Archive. If you are a COE member, and are registering for any of the sessions below, please be sure to use the same email address as your COE profile, to allow COE HQ to validate your membership, and avoid your registration getting cancelled prior to the webinar. Mr. Popielas is currently Managing Partner and Co-founder of SMS_ThinkTank. He has over 20 years of global experience in engineering and R&D product and materials development, IP management, as well as testing, with a specific focus on the development and application of simulation tools, and the establishment of the required supporting infrastructure at Dana Holding Corporation. His expertise includes technology exchange and transfer, business assessments in engineering and manufacturing focusing on the virtual aspect, as well as process development and democratization of its application in this area. Systems Engineering in general, and Model-based Systems engineering in particular have become the means how businesses try to address many of their engineering challenges nowadays. To properly utilize virtual engineering, companies must be able to adopt methods and processes that enable technologies such as the Internet-of-Things (IoT), Digital Twin, etc. Systems Engineering thinking and the enablement and deployment of the latest best practices and solutions in this space are crucial for the successful development of complex systems that have become part of most products in today’s world. In this presentation we discuss and define the Digital Twin, explain the various application streams and its life cycle, its connection to innovation and business analytics platforms, and how it changes the thinking of the traditional engineering “V”. Furthermore, we will discuss how deploying Digital Twin technology can improve the engineering maturity of companies and, thus, make those more competitive. Based on the mentioned “Hype” about the Digital Twin it is also important to understand where the market actually stands in regards to realizing the Digital Twin. Review past sessions that you may have missed or review past sessions that you attended. Your COE membership allows you to access the full recording including presentation and audio for each past session. Click here to access the archive.